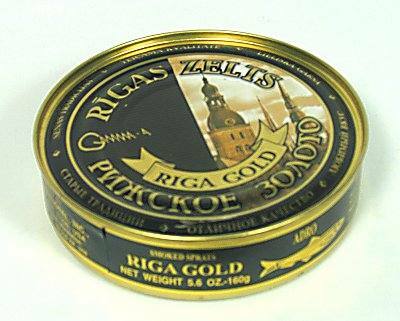 Small, golden smoked fish - these are the famous "Riga Sprats". The smoked sprats with their unique flavour are well known all over the world. 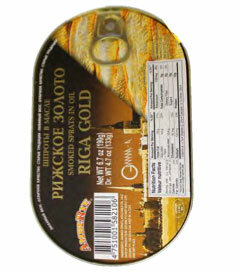 Foreign producers have tried to copy them; however, the real "Riga Sprats" are produced only in Latvia. 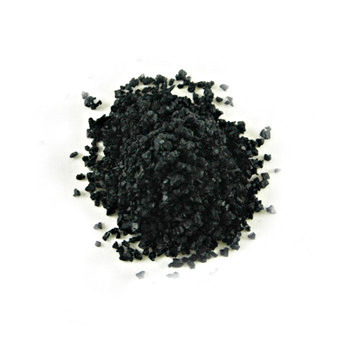 They feature rich, specific aroma with colourful taste - all for your delight. When opening the tin, your nose can smell the sea and alder smoke. 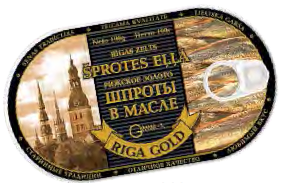 "Riga Sprats" are a Latvian masterpiece produced here for more than a hundred years; you won't find anything like them anywhere in the world! Especially delicious with rye-bread or alone - right from the can. Perfect for breakfast, with a boiled egg. Sprats can be also used as a salad component - in layers with onions, potatoes and mayonnaise, mixed with cheese and onions or just with fresh vegetables - cucumbers, tomatoes, rucola. So many options!